Somnambulant Gamer: North to the Future! I'd like to start this by saying that the game I talk about today holds a VERY special place in my heart. Growing up in Alaska, I have always loved learning about the Alaska Native tribes and their culture, through field trips in school, all the way to volunteering at the museum for a couple of years. What has always captured my attention are the stories; especially native legends (American and Alaskan). We can read these legends, we can listen to the recordings of great storytellers, but this is the first time that we can play and interact with the legends in video game format. 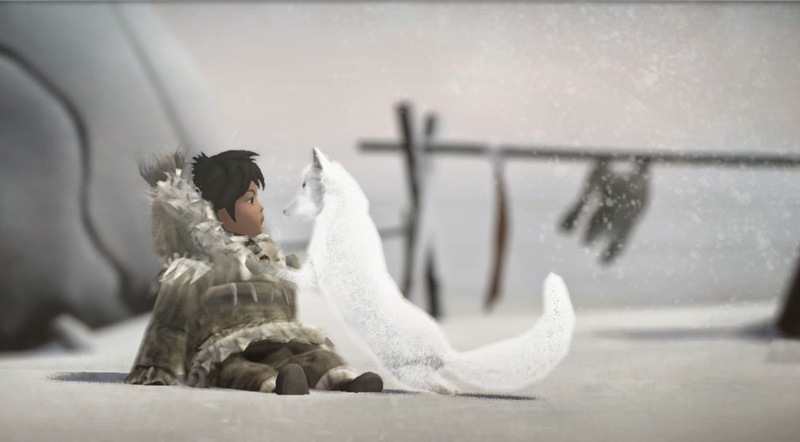 Never Alone (Kisima Innitchuna) is based upon the Inupiaq tribe traditional story Kunuuksaayuka, which is the story of a village that is consumed within a never ending blizzard in which a brave young girl, Nuna, embarks on a journey to discover the source. The game developers worked closely with the original storyteller's daughter Minnie Gray to ensure the accuracy of the legend. To provide the best focus on the story, the game was decided to be a cooperative puzzle platformer. I love games that can be one or two players, and much like the old Sega sidescrolling fighter titles, players can drop in or out of the game. If there is one player, they can switch between the characters Nuna and her companion, a spirit seeing arctic fox. I find it interesting that the decision was made to be cooperative, it reinforces the idea of codependency in the Arctic. Without the community, survival would be impossible. The playstyle for Nuna and the fox are also interesting. You can expect standard platform controls for Nuna, while the fox operates in a differently, by summoning helpful spirits and climbing higher walls, giving the seasoned platformer a very unique game experience in two-player mode. It's asymmetric co-op at its best, similar but wholly apart from games like Child of Light. 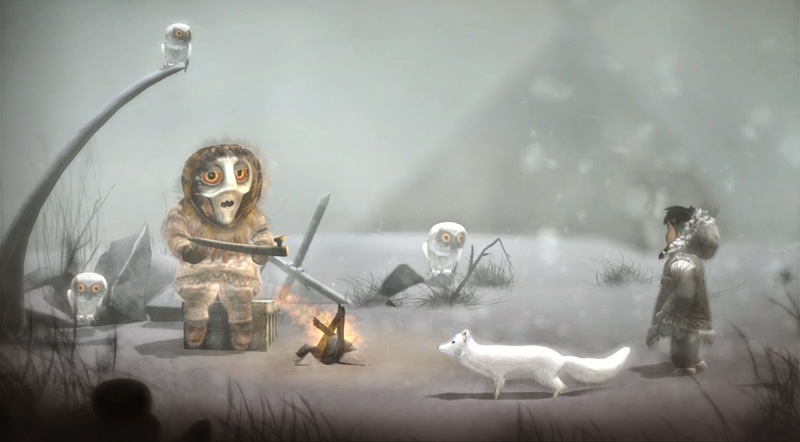 While traveling through the harsh Arctic wastelands, you encounter many "cultural insights" which are shown as snowy owls flying away when unlocked. These provide some information regarding the cultures and some brief stories by Alaska Natives. The insights create such an incredible depth to the game, especially since other stories are woven into the fabric of this one. For example, when I played initially, the level's goal was to navigate challenging obstacle while avoiding the "sky people," spirits that were the same color as the aurora. They would simply grab your character and carry it into the sky if they got you. However, according to some legends, these were the spirits of children who died violent deaths. If you don't have your hood up when the aurora is shining, then they may see your head as a wonderful toy ball and sever it to play with. While these myths are touched upon in the game already, the insights add a large amount of depth to an already deep legend. Overall, the insights are almost like visiting the Alaska Native Heritage Center, where you see the living spaces recreated, and the tools and art with a brief explanation. Overall, I had a lot of fun playing Never Alone at PAX, and am very excited to play it in its entirety. I have never heard this story, so I am definitely curious (but my lips are sealed) as to how it ends! I also look forward to this bringing some knowledge to those living in the "lower 48" states, and the world. While the North seems mostly barren, the culture thrives!